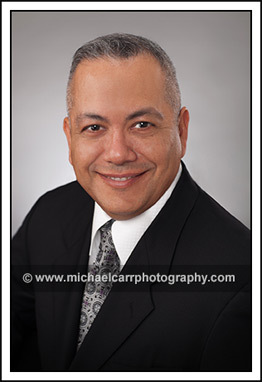 Houston portrait photographer, Michael Carr, CPP, specializes in portraits for executives and business professionals. Michael Carr, CPP, delivers headshots that make an impression and stand out. Michael’s attention to detail ranges from proper clothing selection, body language, and posing techniques. His effective use of lighting techniques and his firm understanding of facial analysis are talents that have been acquired through over 20 years of portrait photography experience and training. Expect the best, come experience the difference. The importance of a professional headshot speaks volumes when it comes to making a first and lasting impression. In today’s competitive market, it is crucial to have a fresh and professional looking business headshot for online marketing collateral such as a corporate profile web pages, commercial proposals and business social networks. Several high profile executives, business leaders and high volume sales producers are required to maintain a polished and current image of themselves to use for press releases, speaking engagements, printed marketing material and book sleeves. Our executive portraiture accommodates attorneys, doctors, financial advisors, realtors and oil and gas executives. Michael’s business portraits have appeared in several professional publications as well as many Fortune 500 company websites, within the Houston Metro area. The studio is centrally located in the Galleria area (77057) in a commercial office building, which offers the professional setting for any corporate executive.